It is the policy of the Practice to accommodate same-day appointment requests, for established patients, whenever possible. 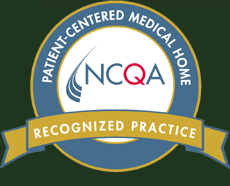 The goal of the Practice is to be available for established patients in a timely manner. New patients that are subscribers of insurance plans we participate with, will be provided with an appointment as soon as our practice schedule allows. It is the policy of the Practice that patients have access to culturally and linguistically appropriate care in an efficient, timely manner in order to maximize access and continuity of care for both routine and urgent needs. All emergency calls are immediately prompted to call 911. All sick calls are answered by the front office and are either scheduled that day or within 24 hours. A telephone encounter is sent directly to Dr. Deutsch for triage if the appointment is not made. If Dr. Deutsch is not available, calls are directed to the covering physician for triage. The patient may choose to call back for an appointment with Dr. Deutsch if the medical condition does not warrant a same day visit with the covering physician. During Practice business hours, patients are given the opportunity to speak with or leave a message for Dr. Deutsch or the Clinical Nurse Manager. Telephone encounters are checked throughout the day and are returned in order of urgency by Dr. Deutsch or the Clinical Nurse Manager by 7:00 p.m. on the same day if the requested advise is clinically significant. and are routed to appropriate office staff by the next day. Patients are offered the opportunity at the time of their office check-in to provide their secure email address to the Practice in order to enhance communication with Dr. Deutsch as well as be able to receive electronic messages from the Practice. Emails are answered before the end of the following business day. Patients are advised not to use email for urgent matters. Calls after 5 p.m. during the week or calls on the weekends or holidays are covered by the physician on-call. The Practice of Paul Deutsch, M.D., R.Ph. provides physician on-call coverage 24 hours daily, 7 days a week. Calls received outside of the office hours will be received by Advance Telemessaging and returned within 30 minutes by the on-call physician. Patients will receive triage instruction by the on-call physician and if acute care is necessary will be sent to the Emergency Room or referred to Dr. Deutsch for a next day appointment. Patients are instructed that if they DO NOT receive a call back from the on-call physician that they should call the answering service back. The answering service is instructed to re-page the physician, call cell or home numbers to ensure the patient gets prompt service. Dr. Deutsch has immediate access to his patients records through a secure VPN network. This ensures that he has the most recent clinical information for treatment planning.